This method is very simple, can be reused for years and looks great. There's a new Mr. Potato in town. Last year, the U.S. Department of Agriculture approved a few new genetically modified potato varieties for farmers to grow commercially. 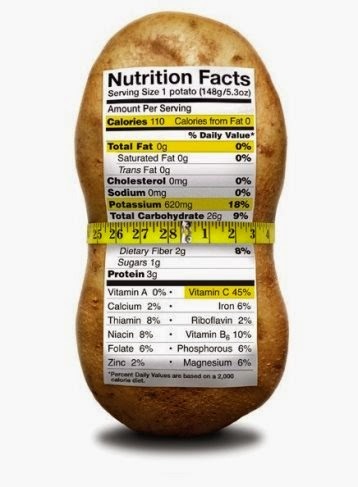 There are genetically modified versions of the popular Russet potato and the Atlantic potato, the New York Times reports. It seems like every week another GMO fruit or vegetable is being approved just another good reason to grow your own! Potatoes are fairly low maintenance, can be grown in a pot or in the ground, last a fairly long time if stored properly, and can be very nutritious (high in potassium and vitamin C). 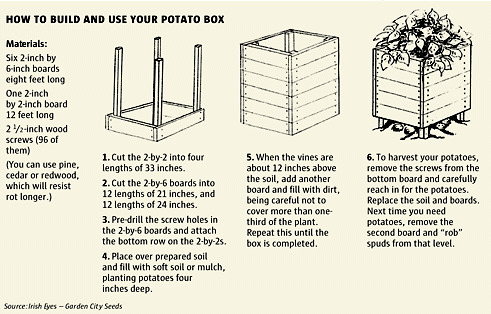 Here's more incentive: according to this article, you can grow 100 pounds of potatoes in 4 sq. feet. Plant as early as April or as late as August 1, with an approximated 3 month till harvest turnaround time. 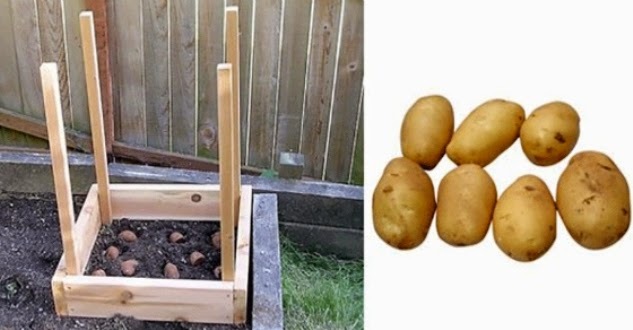 Cut apart larger seed potatoes, making sure there are at least two eyes in each piece you plant. Dust the cut pieces with fir dust, which seals the open ends from bacteria. Fertilize with 10-20-20 fertilizer at planting and a couple of times during the season. Water so that the plants are kept at an even level of moisture. 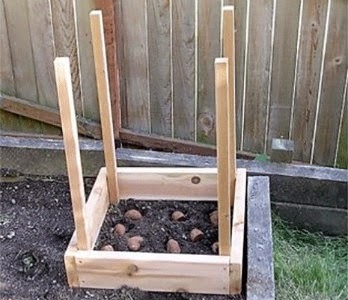 Don't plant in the same area in consecutive years or use the same soil to fill your potato box, as potatoes can attract various diseases.